The preferred line of clothing for most business events is smart casual. The country’s folklore is very rich and some people are even in some cases superstitious. Being respectful of their culture is vital asset in business communications. Romania is implementing multiple economic and political reforms over the past decade, most notably the judicial reform, welcomed by the European Union. 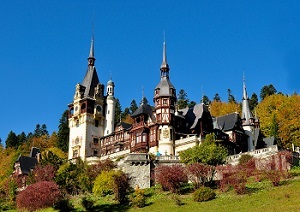 The country is home to the majority of the Carpathian Mountains, a wide mountain range, reaching central Europe, and passing through several countries. The mountain chain forms a circle in the middle of the country, and therefore it is a natural border to Transylvania. The Palace of Parliament is the largest legislative building in the World (3rd man-made building seen from space), comprised of 23 sections and is featured in an episode of Top Gear. Did you know about Romania?